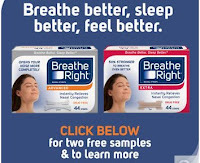 To get a free sample Breathe Right® ADVANCED & EXTRA you have to have a Costco Member ID* to enter. Click the link below to go to the Costco website. Once on their site fill out the mailing address information.